Update your living room with bold and daring designs using this sophisticated table collection. 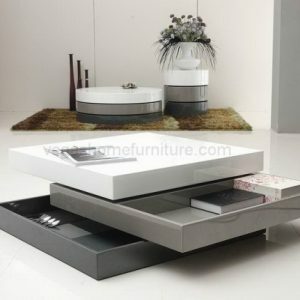 Its unique color and structure is a beautiful artistic accents for any home. 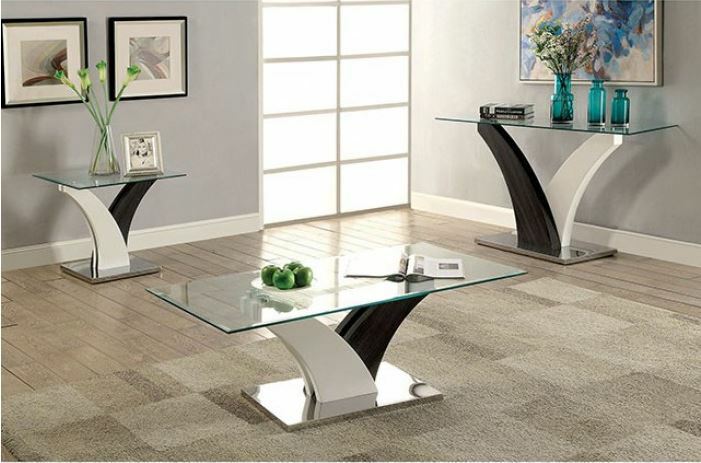 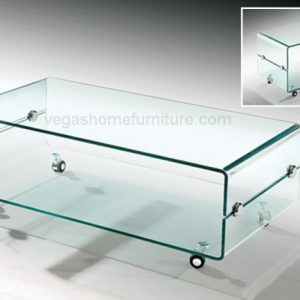 Two elegantly curved panels meet at the stainless steel base to support the tempered glass table top. 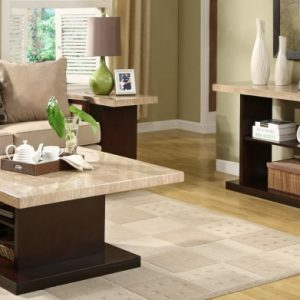 Refresh your living room with this adventurous table!